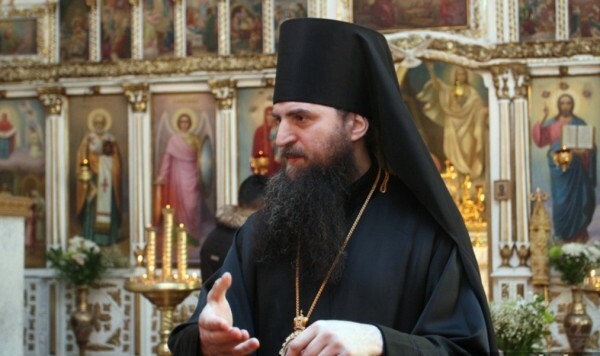 Kyrgyzstan's State Commission for Religious Affairs (SCRA) on July 14, 2014, refused registration as missionary to Bishop Feodosy, the head of the Russian Orthodox Church in Kyrgyzstan, Forum 18 News Service has learned. Under the Religion Law, this prevents him from working as a religious worker in Kyrgyzstan. “This is a ban on the Bishop,” Orthodox Church spokesperson Yuliya Farbshteyn told Forum 18 (www.forum18.org). This Department, however, told Forum 18 that it has “nothing against the Church or the Bishop.” Sunday school catechist Vakhtang Fyodorov continues to be threatened with deportation. Also, the State Property Fund is again seeking – this time through the Supreme Court – to confiscate the building of the Protestant Church of Jesus Christ in Bishkek. is meant by “necessary” or who decides on necessity.